The most thrilling of all classical ballets. Travel to a faraway land for the adventures of a dashing pirate, Conrad, and his feisty girlfriend Medora. Will they outfox evil schemers and find happiness on the high seas? 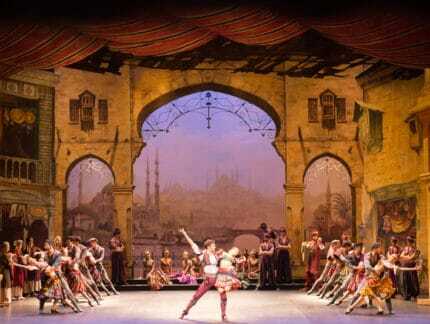 English National Ballet’s Le Corsaire is “hugely enjoyable entertainment” (The Daily Telegraph). Expect a swashbuckling romp, full of thrilling dancing by a brilliant cast of performers, with gorgeous decors and costumes created by Hollywood’s Bob Ringwood, all set to a romantic score played live by English National Ballet Philharmonic. English National Ballet is the only UK company to perform this classic story ballet. Our extravagant production, staged by Anna-Marie Holmes, has enthralled audiences and received rave reviews across the world, including Paris and Tokyo. It returns following glorious performances in 2016. A pirate ship sails across the high seas, captained by our hero Conrad and his faithful pirate crew: they are on a mission to rescue Medora, Conrad’s love, from the hands of the slave trader Lankendem. Lankendem is selling his slave girls in a busy market place. Conrad suddenly spies Medora peering from a balcony, and she throws Conrad a rose as proof of her feelings towards him. When the Pasha, the Governor of the citadel, arrives, Lankendem presents three young women he wants to sell to him. All three are soon rejected, so Lankendem presents the enigmatic Gulnare. The Pasha buys her immediately. Meanwhile Medora attempts to escape with the help of Conrad’s slave, Ali, but is stopped. Peering under her veils, the Pasha is taken by Medora’s beauty and insists she dance for him. As Medora dances everyone is entranced by her beauty; the Pasha, unable to resist such temptation, buys her as well. Consumed with love for her, Conrad commands Ali and the pirates to raid the village kidnapping both Medora and Lankendem and taking them back to their secret hideaway. Reunited again, Conrad shows his hideout to Medora, promising her all his treasures and possessions. Birbanto, the second in command, confronts Conrad, for all the riches are not his to give. After Medora, Conrad and Ali dance to entertain the crew of pirates, she pleads for the slave girls’ freedom. Conrad agrees, but Birbanto rebels: a ferocious fight ensues with Conrad victorious. Birbanto devises a devious plan: he sprays a rose with a sleeping potion, which send Conrad into a drugged sleep. As Conrad lays unconscious, he decides to kidnap Medora, who cuts his arms when trying to defend herself. In the confusion, Lankendem steals her back and escapes. When Conrad awakes, Birbanto feigns ignorance: his captain vows to rescue his love again. Gulnare is entertaining the Pasha and the Vizier when they are interrupted by Lankendem entering the palace with Medora. The Pasha is delighted Medora has been recaptured and declares he will make her his most treasured wife. To celebrate, he smokes on his opium pipe and soon falls asleep, and dreams of his harem in his fantasy garden, with Gulnare and Medora dancing amongst flowers. The Pasha is awakened by the arrival of Conrad, Birbanto and the pirates disguised as merchants, minstrels and conjurors. They trick their way into the palace, before revealing their true identities: Conrad and his men chase away the Pasha as the pirates dance in victory. Birbanto suddenly rushes in chasing Gulnare, and Medora then exposes Birbanto as a traitor and Conrad shoots him. Ali helps Medora, Gulnare and Conrad escape and they flee to the ship, now reunited. Only one discount per ticket. Subject to availability. Opening night: 50% off price bands A-C when booked before 14 June, then £10 off. £10 off price bands A-C on Thu-Fri performances (price bands A-B on Thu matinee). £10 off Price bands A-C on Wed-Fri performances (A-B on Thu matinee). £5 off Price bands A-C on Wed-Fri performances (A-B on Thu matinee). £10 per student on Wed and Thu performances, free teacher for every 10 students. Only one discount per ticket. Subject to availability. Available on all performances and all price bands unless stated otherwise. Up to two children (under 16) can attend half price with every full paying adult. Children under 5 are not allowed in the auditorium. 20% off Stalls, Dress and Upper Circle seats, max 6 per person. Not available on top-price seats in the Stalls. Save 30% per ticket. Valid Mon-Thu (all performances) and Fri matinees. Call Box Office to book. Two-for-one on top-price tickets (normally £80 per tickets). Call Box Office to book. Tickets will be held for collection. £8 per pupil + 1 free teacher ticket per 10 students. Available on selected areas only. For all other performances, the Groups rate and conditions apply. We regret that refunds cannot be given on tickets purchased, and exchange is subject to conditions and availability. English National Ballet reserves the right to make alterations to the programme, casting, dates, times, discounts and prices as necessary. Information subject to change. We're delighted to announce plans for our 2019/2020 season. 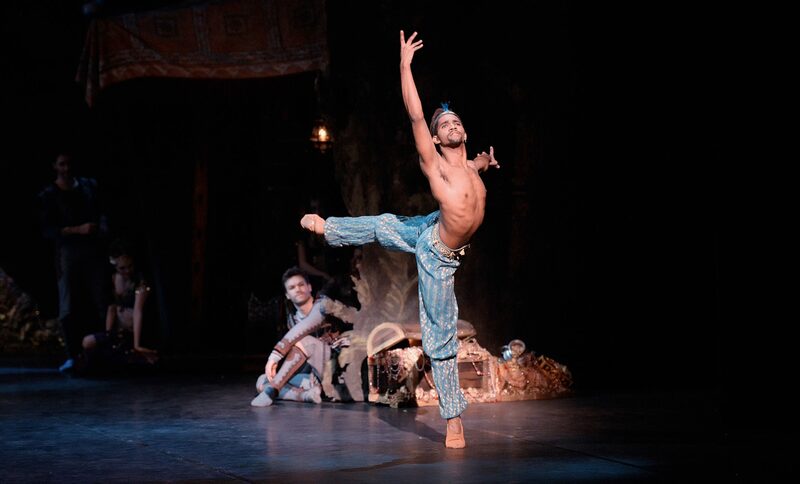 Highlights include our 70th Anniversary, a second full-length production created by Akram Khan with English National Ballet, and national tours of Le Corsaire and Christopher Wheeldon's Cinderella. This will be our first full season after moving into our new home on London City Island. The summer months are often when English National Ballet tour internationally, sharing our work with audiences in different corners of the world. 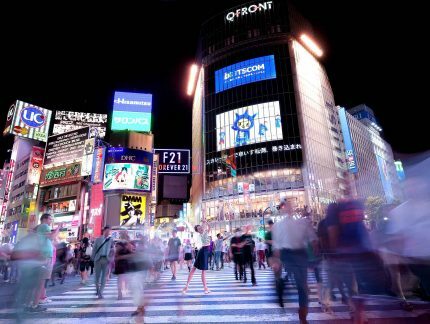 Past tours have included Australia, China and Oman, and this summer was no exception, as we headed to Tokyo and Nagoya, Japan to perform Le Corsaire and Coppélia. The leading dance magazine Dance Europe has published its annual Critic’s Choice, where we've gained a total of 20 honourable mentions. 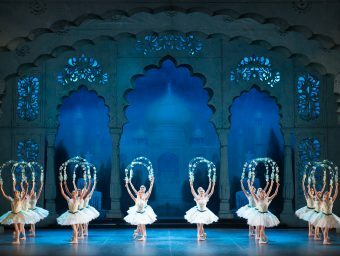 Hollywood designer Bob Ringwood shares some of his inspirations for his stunning designs for Le Corsaire.